William H. Nieder founded Marathon Engineering Corporation in the spring of 1973. After working the rubber industry for 3-M, and running a sports surfacing company based in Redwood City, Mr. Nieder saw the need for a high-quality safety padding within the correctional and psychiatric markets. From this idea, he developed Gold Medal Safety Padding®, which takes it name after the Gold Medal Mr. Nieder won in the 1960 Olympics in Rome. In addition to winning the Gold in the Shot Put in 1960, Mr. Nieder also won the 1956 Silver Medal in the Shot Put in Sydney. Since it’s inception in 1973, Gold Medal Safety Padding® has been installed in thousands of seclusion and detox cells in prisons and jails, safety rooms, suicide prevention and emergency rooms in hospitals and psychiatric facilities and “time-out” and calm down rooms in schools and autism centers. 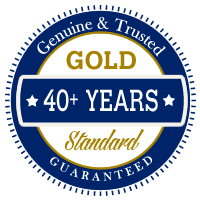 Because 1973, Marathon Engineering Corporation’s specialized installation crews have been there to ensure a proper and quality installation. In January of 2005, its current President & CEO, George Hrunka, purchased Marathon. Although the management has changed, Marathon’s commitment to its “Gold Standard” of quality workmanship and product excellence have remained intact. Gold Medal Safety Padding has been installed throughout sixteen countries and is represented internationally in Canada by our partner, Marathon Institutional Products Canada based out of Toronto, and in Asia, Europe and the Middle East by Gold Medal Safety Padding based out of Queensland, Australia.